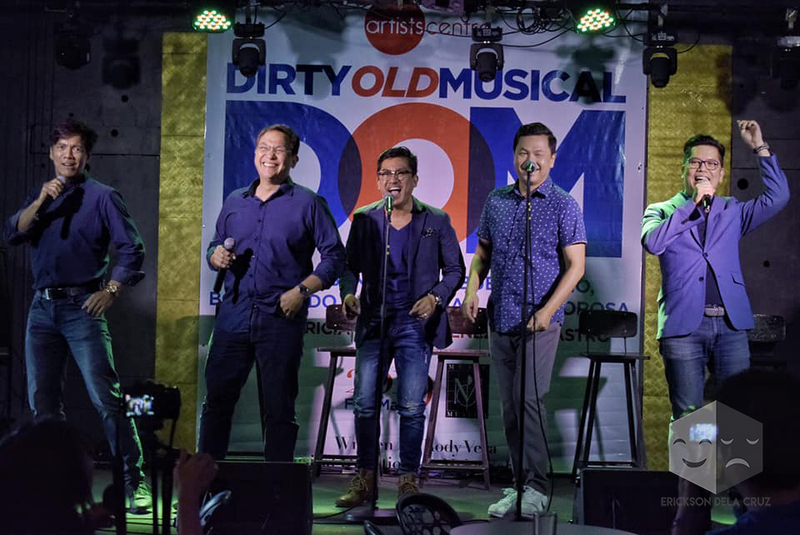 WATCH: “Dirty Old Musical” Cast Sings 70-80’s Hits ‘Pag Tumatagal Lalong Tumitibay,’ ‘Legs’ and More! Spotlight Artists Centre’s “Dirty Old Musical” is coming back for a third run this February 22-March 23 at the Music Museum. The musical, written by Rody Vera with musical arrangement by Myke Salomon, fuses OPM hits from the ‘70’s-’80’s (such as Mag-exercise Tayo Tuwing Umaga, Kay Ganda ng Ating Musika, Pag Tumatagal Lalong Tumitibay, Katawan, Legs, to name a few) to tell the story of five men dealing with middle age. They were once part of an all-male ‘80’s group, which disbanded for personal reasons. They decide to try and reunite after several decades to try and help an ailing member. Jett Pangan (who takes over the role from John Arcilla) joins the cast as Freddie, one of the five band members. Reprising their roles are Robert Seña, Bo Cerrudo, Nonie Buencamino, and Carlo Orosa. The ensemble also includes Kitkat, Tricia Amper-Jimenez, Ima Castro, Neo Rivera, Katherine Tiuseco, Anthony Castillo, Matel Patayon, and Carlon Matobato. For the third run, director Dexter Santos says that audiences can look forward to new songs, additional texts and dialogue, as well as new synergy from the cast with the addition of Pangan, who makes his theater comeback after 5 years. 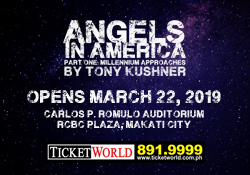 “To be called in for this cast is a big, big honor for me,” says Pangan. Being the front man of the rock band “The Dawn”, and having just finished their Canadian tour last year, being invited to do the show was a welcomed change for him. You can watch excerpts of their performance in the video below.